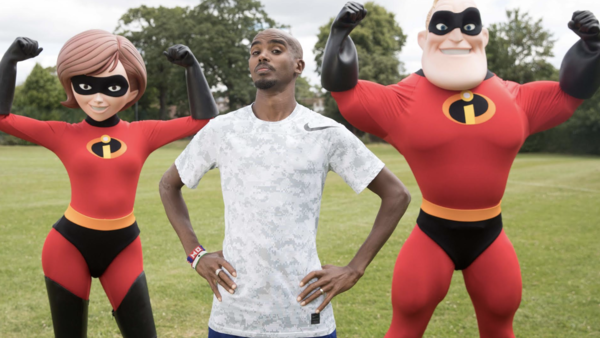 With The Incredibles 2 coming out very soon - it would be sooner if it wasn't for the small matter of the World Cup taking over - Disney are looking for a new way to inspire their fans to do something incredible for themselves with a new healthy living incentive. 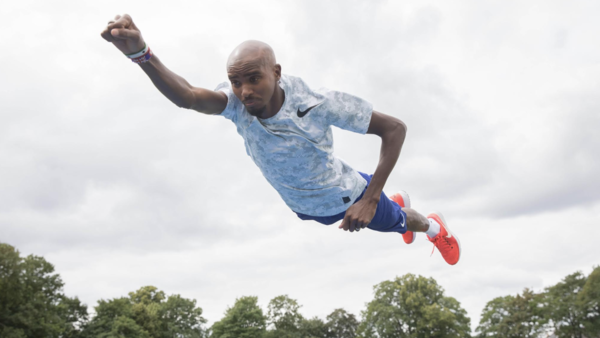 They've called in the services of very-possibly-superhuman running legend Sir Mo Farah to launch the Incredibles 24 Hour Challenge – a free, family-friendly challenge that can be done anywhere at any time throughout the summer. Not only is it good for your own health and fitness, but it's designed for teams with families and friends encouraged to clock up a total of 24 hours of physical activity between the 3rd June and 9th September 2018, with a chance to support Unicef UK’s work. The challenge consists of 24 fun, active ‘missions’, such as the Super Dance Off with Elastigirl, Dash’s Daring Dash, and the Incredi-Crawl, which can be accessed at www.24HourChallenge.com. The missions are inspired by the Parr family’s superpower skills as featured in the new Disney•Pixar Incredibles 2 film, which releases in cinemas on the 13th July 2018. “Being active together as a family is so important to us, which is why we jumped at the chance to complete Disney’s 24 Hour Challenge this summer, and hope to inspire other families to take on the challenge too. We’ve already tried a few of the missions like the Super Dance Off and the Incredi-Crawl, which our kids absolutely loved doing. My daughters, Rhianna, Amani and Aisha, teaching me how to do the ‘floss’ dance was definitely a highlight! To help motivate teams further this summer, all money raised by families taking part in the challenge will help to support Unicef UK providing children with clean water, life-saving food, vaccines, and a safe space to grow up happy and healthy. A very worthy cause to go on top of a great opportunity for family bonding! To register your team for the Incredibles 24 Hour Challenge and access the Disney•Pixar Incredibles 2 Missions please visitwww.24hourchallenge.com.